My childhood was largely influenced by my obsession with Harry Potter. I spent far too much of my time writing and reading Harry Potter fanfiction, having analytical discussions with strangers on Harry Potter forums, and creating perfect Harry Potter costumes. I even took a fantasy lit class in college just because Harry Potter was on the syllabus. Embarrassing confessions aside, Harry Potter helped me through some difficult experiences and taught me lots of life lessons along the way. Needless to say, I was devastated when I finished the seventh book, Harry Potter and the Deathly Hallows, less than twenty-four hours after I’d waited in line at midnight to secure a copy. I just knew that I would never find another book to love like I loved Harry Potter. So in honor of the tenth anniversary of Harry Potter and the Deathly Hallows, I bring you read-a-likes! This list of recommendations is for you, Harry Potter lovers of all ages. I know they won’t be the same, but that doesn’t mean you can’t enjoy them. Warned away from magic all of his life, Callum endeavors to fail the trials that would admit him to the Magisterium only to be drawn into its ranks against his will and forced to confront dark elements from his past. In a society that purges thirteen-year-olds who are creative, identical twins Aaron and Alex are separated, one to attend University while the other, supposedly Eliminated, finds himself in a wondrous place where kids hone their abilities and learn magic. Twelve-year-old Rose Bliss wants to work magic in her family’s bakery as her parents do, but when they are called away and Rose and her siblings are left in charge, the magic goes awry and a beautiful stranger tries to talk Rose into giving her the Bliss Cookery Booke. Whisked through a portal to The Outskirts, an in-between world, sixth-grader Cole must rescue his friends and find his way back home–before his existence is forgotten. At the School for Good and Evil, failing your fairy tale is not an option. Best friends Sophie and Agatha are about to embark on the adventure of a lifetime. With her glass slippers and devotion to good deeds, Sophie knows she’ll earn top marks at the School for Good and join the ranks of past students like Cinderella, Rapunzel, and Snow White. Meanwhile, Agatha, with her shapeless black frocks and wicked black cat, seems a natural fit for the villains in the School for Evil. The two girls soon find their fortunes reversed–Sophie’s dumped in the School for Evil to take Uglification, Death Curses, and Henchmen Training, while Agatha finds herself in the School for Good, thrust among handsome princes and fair maidens for classes in Princess Etiquette and Animal Communication. Celaena Sardothien is an assassin serving a year of hard labor in the salt mines of Endovier for her crimes, and she is summoned to the castle; not to kill the king, but to win her freedom. If she defeats twenty three killers, thieves, and warriors in a competition, she is released from prison to serve as the king’s champion. But when competitors start dying one by one, her fight for freedom becomes a fight for survival. Orphaned by the Border Wars, Alina Starkov is taken from obscurity and her only friend, Mal, to become the protegé of the mysterious Darkling, who trains her to join the magical elite in the belief that she is the Sun Summoner, who can destroy the monsters of the Fold. Fifteen-year-old Will, always small for his age, has been chosen as a Ranger’s apprentice. What he doesn’t yet realize is that the Rangers are the protectors of the kingdom. Highly trained in the skills of battle and surveillance, they fight the battles before the battles reach the people. And as Will is about to learn, there is a large battle brewing. Laia is a Scholar living under the iron-fisted rule of the Martial Empire. When her brother is arrested for treason, Laia goes undercover as a slave at the empire’s greatest military academy in exchange for assistance from rebel Scholars who claim that they will help to save her brother from execution. When the murals painted on the walls of her Brooklyn neighborhood start to change and fade in front of her, Sierra Santiago realizes that something strange is going on–then she discovers her Puerto Rican family are shadowshapers and finds herself in a battle with an evil anthropologist for the lives of her family and friends. The circus arrives without warning. No announcements precede it. It is simply there, when yesterday it was not. Within the black-and-white striped canvas tents is an utterly unique experience full of breathtaking amazements. It is called Le Cirque des Rêves, and it is only open at night. Behind the scenes, two young magicians prepare for a duel that they have been trained for since childhood. Despite themselves, the duo fall in love, but what they don’t know is that this game can only leave one standing. Quentin Coldwater is brilliant but miserable. A high school math genius, he’s secretly fascinated with a series of children’s fantasy novels set in a magical land called Fillory, and real life is disappointing by comparison. When Quentin is unexpectedly admitted to an elite, secret college of magic, it looks like his wildest dreams have come true. But his newfound powers lead him down a rabbit hole of hedonism and disillusionment, and ultimately to the dark secret behind the story of Fillory. The land of his childhood fantasies turns out to be much darker and more dangerous than he ever could have imagined. The latest test subject in a covert government experiment, abandoned six-year-old Amy is rescued by an FBI agent who hides them in the Oregon hills, from which Amy emerges a century later to save the human race from a terrifying virus. For Harry Dresden—Chicago’s only professional wizard—business, to put it mildly, stinks. So when the police bring him in to consult on a grisly double murder committed with black magic, Harry’s seeing dollar signs. But where there’s black magic, there’s a black mage behind it. Witch and Yale historian Diana Bishop discovers an enchanted manuscript, attracting the attention of 1,500-year-old vampire Matthew Clairmont. The orphaned daughter of two powerful witches, Bishop prefers intellect, but relies on magic when her discovery of a palimpsest documenting the origin of supernatural species releases an assortment of undead who threaten, stalk, and harass her. Teens, Win Prizes by Reading! Now What to Read? Our Teen Summer Reading program is in full swing over here in the Teen Room! The more you read, the more you win – we’ve got earbuds, car chargers, giant candy bars, gift cards, and more! Stop by our Teen Room on the 2nd floor and pick up some review sheets, start reading, and we’ll do the rest! But there lies the question of WHAT exactly will pull you in enough to stop Snapchatting, FB Messaging, texting, and setting up hang outs with your friends? We’ve gotcha covered! Check out these awesome websites that our Teen Librarians, Erin Holt and Howard Shirley, have collated for you! You’re bound to come across something that strikes your fancy! And hey, if not, give us a call in the Teen Room at 615-595-1278 and talk to Ms Erin or Mr Howard, we’ll be more than happy to take you on a book walk, and we guarantee you’ll leave with your arms full of good reads! But just in case you want to look for yourself, here are some fun websites that offer some awesome books JUST for TEENS! And those are just a few of our fave sites! It’s Teen Tech Week, and to celebrate we consulted a panel of teen readers about their favorite techy stories, featuring fantastic technology they wish was real, and creepy technology they’d rather never see. And then we rounded out the whole thing by selecting a few books we love featuring tech both real and imaginary—as well as tech you may someday create yourself! Ender’s Game begins after humanity has barely survived a genocidal war against technically advanced alien invaders, and Earth fears that race’s eventual return. The last invasion was defeated almost solely by the action of one heroic military officer, and the leaders of Earth are desperate to create soldiers who can mimic that hero’s instinctive skill. Potential candidates are selected as children and trained in an orbiting military academy, featuring a recreational battle game, sort of a cross between laser tag and Red Rover, played in zero-gravity inside a huge sphere. The eventual victors of this tournament, led by the novel’s young hero, Ender, also train in a complex computer simulator, learning to command the space fleet that must confront and destroy the enemy—with unexpected results. Our panel of teens loved the idea of the battle game in its weightless environment, as well as the computer simulator. For creepy tech, our teens brought up the Divergent series and the technology used in the novels to identify and control the members of a dystopian future society. At sixteen, everyone is divided by law into five distinct factions, ostensibly chosen by the individual. The choice, however, is influenced by a complex personality test run in a virtual reality environment, which uses the individual’s personal fears to direct that choice. Secretly, one of the factions develops a serum that allows them to use the VR tech to control the minds of others and launch a bloody coup. “Divergent” refers to those who can’t be easily regimented by the VR test and who can recognize the VR world as not being actual reality, thus becoming immune to the effects of the mind-control. Everyone agreed that this sort of technology was one they’d never want to see come into reality. This popular manga (Japanese comic book series), features another dystopian setting, where humanity has been reduced to a tiny population living in an immense walled city to protect itself from roving, gigantic “Titans” whose only apparent desire is to eat humans. The warriors assigned to defend humanity are equipped with “vertical mobility devices,” which are arrow-tipped grappling hooks fired by gas canisters. The cables allow the warriors to swing through city, forests, and even from the Titans themselves, “just like Spiderman” as our teen panel put it. The soldiers also use flexible swords which are the only weapons capable of killing the monstrous Titans. The blades, however, are destroyed when they strike a Titan, and the hilts must be reloaded from a supply cartridge worn like a scabbard at the warrior’s waist. Our teen panel loved the idea of being able to swing through the air with the grappling-hook harnesses, and who doesn’t love a techy sword? Part part non-fiction, part fiction, this highly amusing and intelligent graphic novel tells the adventures of (the real) Lady Ada Lovelace and (the also real) Charles Babbage in an “alternate pocket universe;” the alternate part being that the two actually build the invention they collaborated on in real life—the fabulous Analytical Engine, a steam-powered Victorian-era computer! If you’ve ever wondered what the Steampunk phenomena is all about, these two historical persons are at the heart of it. (As one of the book’s characters quips about the pair, “Oh look, we’re present for the invention of the geek.”) The Thrilling Adventures of Lovelace and Babbage mixes silly adventures and fabulous Victorian engineering with real history about the development of computing, programming languages, and a dash of women’s rights, all nearly a century before anyone made the first computer chip. If you love steampunk, history, computers or just laughing out loud about any of them, there’s no better book to grab for Teen Tech Week. Maximum Ride Series by James Patterson—teens bio-engineered with angel’s wings, pursued by teens bio-engineered as wolves. Leviathan Trilogy by Scott Westerfeld—featuring steam-powered walking tanks and bio-engineered flying whales!!! Uglies series by Scott Westerfeld—featuring a hoverboard that floats over metal rails, or water with a strong iron content. Real efforts to create hoverboards have in fact produced two workable versions- one that operates only above a metal surface, and another that operates (using superconductors) over a magnetic surface. Aside from the lack of any ability to float over water, this tech really does exist. Hitchhiker’s Guide to the Galaxy by Douglas Adams—the tech is as silly (and impossible) as the novel, but who wouldn’t love to own the spacecraft Heart of Gold? Technology just isn’t something in books or something made by other people. If you love tech, why not make it your career? Check out these non-fiction books to kickstart your quest! It’s officially Teen Tech Week ! Libraries around the country are celebrating in many different ways, combining crafts, technology, and more! Here at WCPLtn, we celebrated by hosting our final Lego Mindstorms Club meeting, playing the Wii U, and even putting technology to the side one afternoon by playing various board games! Our Teens did a great job under the guidance of Middle Tennessee State Community College professor Alan Fisher. They started out learning the various parts of the Lego Mindstorm, moved to building their own robot, and finally learned the intricacies of programming the robot! By the end they had their robots sensing colors, objects, and even doing dances to various pop songs! Everyone had a blast and some even used the sessions to aid in earning their merit badge for boy scouts! If you’re interested in attending an upcoming Lego Mindstorms program, follow us on Twitter @wcplteen14 and keep your eye on our website http://www.wcpltn.org where we’ll post slides to let you know when registration opens for the April session! What did you do to celebrate Teen Tech Week? So many teens come in saying they have read The Hunger Games and Divergent and want MORE just like it! Check out this awesome list of titles and check our shelves or talk to our Teen Staff! The Thief by Megan Whalen Turner–There is no better questioner of authority than Eugenides. Much like Haymitch he is always at least three moves ahead of his opponents. Between Shades of Gray by Ruta Sepetys–In 1939 Lina and her family are forcibly taken from their Lithuanian homes and moved to Siberia by invading Russian forces in this quiet tale of resilience and resistance. Uglies by Scott Westerfeld–Minus the Twilight Zone references to perception and beauty, this book basically IS The Hunger Games. If you like one series you’re basically required to like the other. Graceling by Kristin Cashore–Katsa’s name sounds a lot like Katniss. She is also a lethal, killing machine ready to do more than her share of the rescuing in this fantasy adventure. Bonus: Seraphina by Rachel Hartman–Half-human, half-dragon, Seraphina is a talented musician and possibly her kingdom’s only chance to divert an all-out war with the neighboring dragons. Au Revoir, Crazy European Chick by Joe Schreiber–Perry knows taking his family’s dowdy exchange student, Gobi, to her first dance is going to be a drag. He doesn’t realize that will largely be due to all of the people Gobi plans to assassinate before the night is over. Bonus: Little Brother by Cory Doctorow–Set in post-9/11 San Francisco, Marcus is on a quest to hack his city from the sinister clutches of a Homeland Security. Ship Breaker by Paolo Bacigalupi–Nailer eeks out a living tearing down ships for scavenge. When he finds a clipper ship–and its owner–Nailer has to decide if he wants to claim the scavenge of a lifetime. Or do the right thing. Bonus: All These Things I’ve Done by Gabrielle Zevin–Paper is scarce. Coffee and chocolate are illegal. It’s a bad time to be a mafiya princess and heir to a chocolate empire in 2085 New York. It’s an even worse time to consider dating the new District Attorney’s son. Divergent by Veronica Roth–Being marked as divergent means Tris can choose to join any faction. Choosing Dauntless means embarking on a grueling, harrowing initiation process that she might not survive. Throne of Glass by Sarah J. Maas–After a year of hard labor, assassin Celaena Sardothien has a chance to reclaim her freedom. All she has to do is win a competition against other cutthroats and killers to become the champion of the king who first arrested her. The Selection by Kiera Cass–America Singer is one of the Selected, a lucky girl with a chance to compete for the prince’s affections in this cross between The Hunger Games and The Bachelor. The Scorpio Races by Maggie Stiefvater: Sean is a boy with everything to lose in this year’s Scorpio Race while Puck is a girl with everything to gain. But in a deadly race with lethal water horses there can only be one winner. Bonus: Princess Academy by Shannon Hale–One of the girls from Miri’s village is going to become a princess. But before that can happen all of the girls will need to learn what being a princess really takes. Rot & Ruin by Jonathan Maberry–A zombie apocalypse with a wild west sensibility and some very gruesome trading cards. Shatter Me by Tahereh Mafi–A dystopian that’s part X-Men, part jailbreak, all action. The Eleventh Plague by Jeff Hirsch–Two-thirds of the population are dead from a vicious influenza strain. People called it the eleventh plague. (Shelved in Adult. eAdio also). Bonus: For Darkness Shows the Stars by Diana Peterfreund–Post-apocalyptic retelling of Persuasion. You know you want to. Incarceron by Catherine Fisher–Finn knows he belongs Outside Incarceron. But in a prison so vast that nothing ever enters or leaves, how can one inmate ever find his way out? The Amulet of Samarkand by Jonathan Stroud–In a world where London is ruled by magicians with demons doing their bidding, a djinni and a young magician strike an uneasy detente to see if both of them can survive the machinations they have set in motion. The Blue Girl by Charles de Lint–Imogen would never want to be normal. Even if that means she has to deal with a lonely ghost, dangerous angels, and an imaginary friend who just might be real. Bonus: Dreamhunter by Elizabeth Knox–An alternate history/fantasy set in 1906 New Zealand where dreams are tangible things that can be scavenged and put on view and nightmares are very, very dangerous thing. Cinder by Marissa Meyer–A sci-fi retelling of Cinderella with aliens, cyborgs, plagues and a whole lot of trouble. City of Bones by Cassandra Clare–Clary can see parts of a hidden world. But when she starts looking into that world, it looks back. Beautiful Creatures by Kami Garcia and Margaret Stohl–There was a curse. There was a girl. And in the end, there was a grave. Team Human by Justine Larbalestier and Sarah Rees Brennan–Friends don’t let friends date vampires. Too bad Mel’s best friend just fell in love with one. This post was written by Emma Carbone for her blog. An updated version can be found on her blog, Miss Print. There’ve been so many times that our Teen staff have been asked for “safe” romance novels for their teens, starting at the age of 12. So we decided to create this awesome list of safe teen romance titles. Check it out! To All The Boys I’ve Loved Before by Jenny Han – What would happen if all your crushes received your love letters…at the same time? 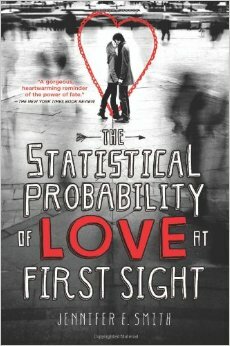 The Statistical Probability of Love at First Sight by Jennifer E. Smith – When four minutes changed everything in 24 hours. Anna and the French Kiss, Lola and the Boy Next Door, Isla and the Happily Ever After by Stephanie Perkins – Companion novels revolving around friendship, love, and travel. 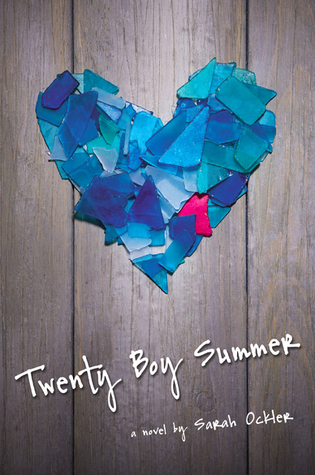 Twenty Boy Summer by Sarah Ockler – BFFs Frankie and Anna spend a 20 day vacation together, making a bet that they can meet one boy per day. Dash and Lily’s Book of Dares by Rachel Cohn – A sweet fun read involving books, New York City, and teen love interests. Sloppy Firsts by Megan McCafferty – Follow Jessica Darling as she navigates through school, boyfriends, and more after her BFF, Hope, moves away. 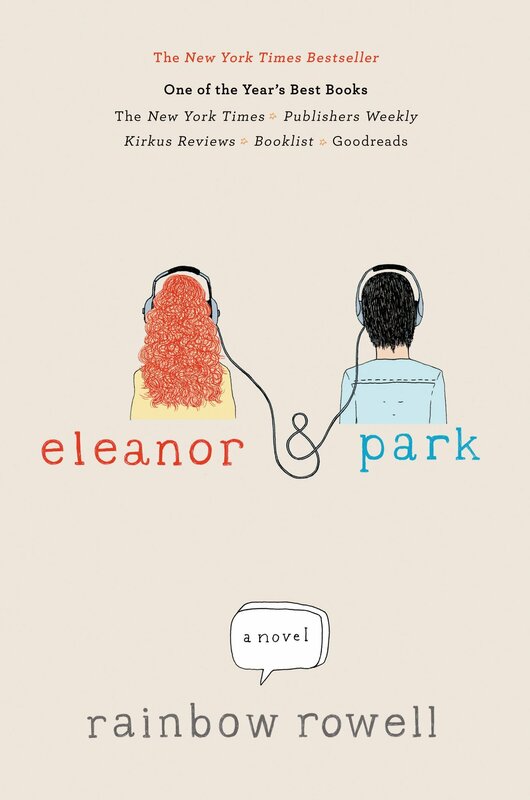 Eleanor & Park by Rainbow Rowell – A beautiful love story, taking place in 1986, between 2 misfit teenagers. WHO WERE YOU AS A HUMAN? WHEN DID YOU LIVE? OR DID YOU CLAW YOUR WAY OUT OF A GRAVE? DID YOU CATCH A RAGE VIRUS? APPLY LIQUID LATEX AND RAGGED TOILET PAPER FOR DEEP GASHES. RIP OPEN ONCE DRY. FOR SHALLOW CUTS, APPLY THIN LAYERS OF LIQUID LATEX, ALLOW TO DRY AND TEAR OPEN. BLEND WHITE OVER WHOLE FACE. FILL WOUNDS WITH RED AND BLACK. BLEND OUTWARD WITH BLUE, PURPLE AND DASHES OF YELLOW FOR A ROTTING EFFECT. BE SURE TO APPLY DARK COLOR UNDER YOUR EYES FOR A SUNKEN LOOK. APPLY FAKE BLOOD TO WOUNDS AND MOUTH. FOR ADDED EFFECT, USE MILK CARTON CUTOUTS AND LATEX TO SIMULATE BONE. Do you like to draw, paint or sculpt? The Teen Department of the Franklin Main Library invites you to join our Teen Artists Club. This club is open to any Williamson County resident, age 12-18, with an interest in the visual arts, including drawing, painting, sculpture and more. To kick off this new club, we’ll be hosting Nashville artist Susan Eaddy and author Julie Hedlund presenting “Turning Words Into Art,” the story of creativity and collaboration behind their new book My Love For You Is the Sun. Susan Eaddy is an accomplished artist and graphic designer, known for her three-dimensional clay “paintings,” which she then photographs to create unique illustrations. Together she and Julie Hedlund will discuss how they worked together to turn Julie’s beautiful poetic story into an equally stunning book. Combining the skills of sketching, painting, sculpting and photography, nearly every aspect of the visual arts comes into play in this amazing tale. The Kick-off Event is open to everyone, and will be held downstairs in the Children’s Activity Room in the Children’s Department, this coming Thursday, October 9, at 4 p.m.. We hope to see you there! Susan Eaddy is an award-winning illustrator and art director, who received a Grammy nomination for her CD cover art design (Los Super Seven, 1998), and has created numerous illustrations for children’s books and magazines. Julie Hedlund left a career in banking to become a full-time children’s author. She began with the award winning storybook apps A Troop is a Group of Monkeys and its sequel A Shiver of Sharks. A Troop is a Group of Monkeys was later published as a hardback picture book. Her latest book is My Love For You is the Sun with artist Susan Eaddy. What a great summer we’ve had at the Library! Our Teen Department had over 450 book reviews submitted and 13 awesome teens won various prizes, including an iPad Mini, Kindle Fire tablets, and Barnes & Noble gift cards! Everyone beat the heat at the library, stopping by our 2nd floor Teen Fiction room to cool off with a good book, play on the computers, and meet up with friends. We’re looking forward to fall and have some exciting new programs including Lego Mindstorm, Minecraft, and Wii gaming! Keep reading and we’ll see you at the Library! We are pleased to announce that Erin Holt is the new Teen Librarian at the Main Library in Franklin. Erin brings with her a Masters in Library Science from Queens College (New York), experience working with teens at the New York Public Library, a love of all things social media, a flare for collection development, and fresh and exciting programming ideas for the teens and tweens of Williamson County. You may know Erin if you’ve stopped by the Reference desk, as she has been with WCPLtn for the past 4 years. Erin can’t wait to connect with the teens both in person and online with various programming initiatives set to launch this year. First up? The new “Imagination Station,” which includes Nintendo Wii, Minecraft, Lego Mindstorm, and other multi-media programs. Between this and other upcoming ideas, Erin plans to turn the Teen Department into a community hub for Williamson County teens. Keep yourself in-the-know & follow @wcplteen14 on Twitter. See you at the Library!